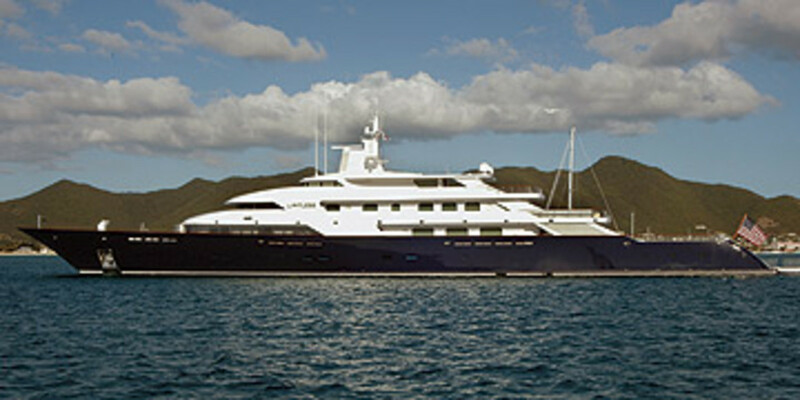 Forty-one feet wide, Limitless has abundant room for her owner, American Leslie Wexner (CEO of Limited Brands, which owns The Limited, Victoria’s Secret, and other apparel stores), and guests to spread out and relax. 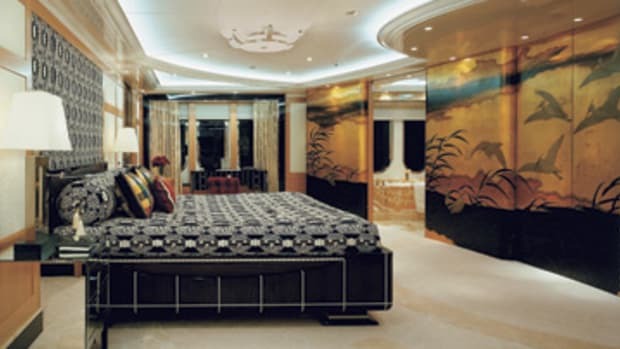 While you can see the layout of her various decks on Lrssen’s Web site, you won’t find photos of her interior; Wexner has stipulated since day one that they remain strictly private. 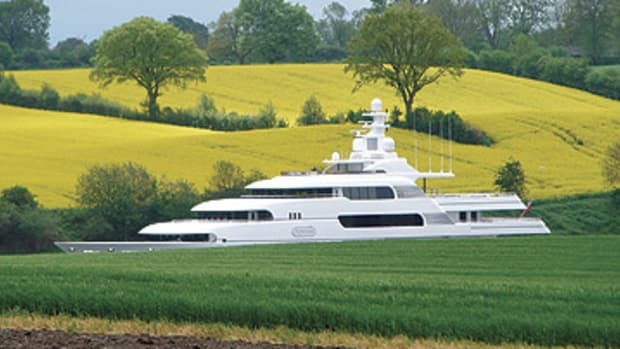 Not everything about the yacht is treated the same, however; for example, her high-tech systems have been well publicized for years. 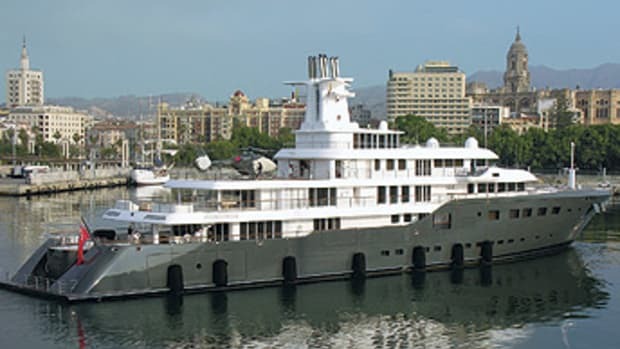 She was among the first yachts to be fitted with a Dynamic Positioning system, technology that has trickled down from the commercial and military sectors. That and her complex diesel and diesel-electric propulsion were modified and upgraded at Nobiskrug in Germany a few years ago.